Dimensions: height 75cm, dimension 140x80cm, weight 23kg. Since ever, the care to the details in all articles Siesta Exclusive is excellent, in the Rattan line this important attention is even stronger. ORLANDO 140 is a refined rectangular table with a rattan finish. Table that thanks to its elegance, is prefect in refined outdoor furniture solutions. Extremely solid and robust, ORLANDO 140 is made in durable polypropylene resin reinforced with glass fiber. Also equipped with treatment against atmospheric agents and UV rays. Also available the ORLANDO 80 square model, visible below in related products. 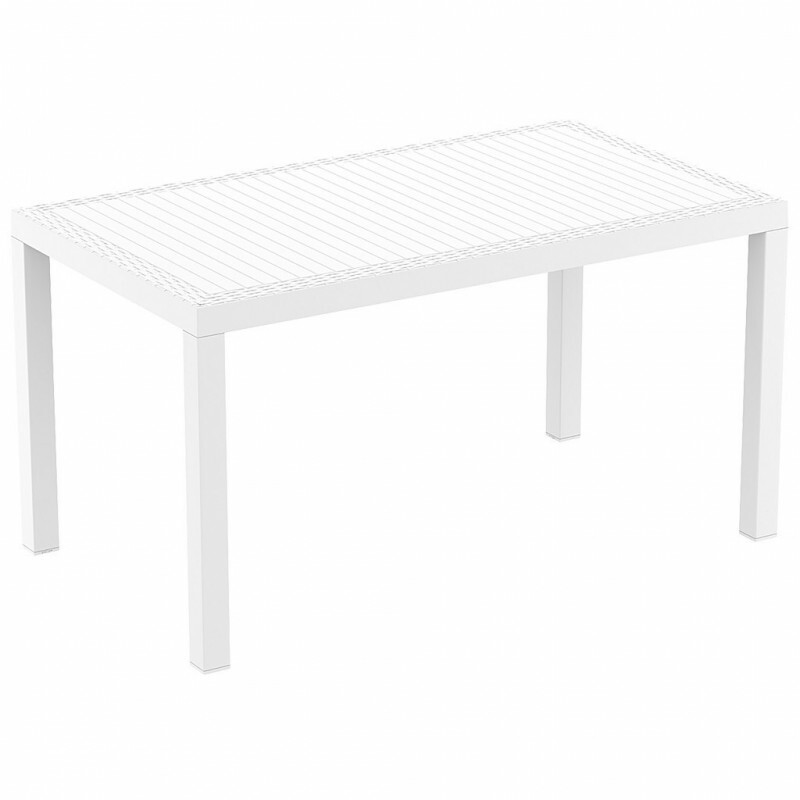 Demountable table (see in the "download" section).